Drug traffickers who misplaced 25 kilos of cocaine will be relieved to learn that their drugs have turned up…in boxes of bananas shipped to supermarkets around Spain! Drug traffickers in Spain were going bananas looking for a misplaced 25 kg of cocaine - that is until someone in a Madrid branch of the supermarket chain Lido found several large bags of white powder…in a box of green tropical bananas. Police say the drugs started their grocery journey at Madrid’s wholesale market, the Mercamadrid, before radiating out to Lido supermarket branches in Madrid, as well as Caceres, Plasencia and Extremadura. An employee at a Lido supermarket described the police response, saying, "Two or three police cars arrived and they went straight for the bananas. They tipped them out onto a table and began sifting them." Lido supermarket officials say their bananas are now safe and cocaine free, saying that ‘the offending bananas’ have been pulled. 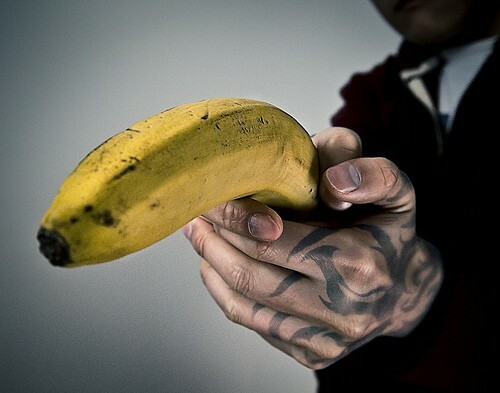 Spanish journalists report that shipments of bananas are often used to hide packages of cocaine from overseas. 1 Tainted Cocaine Causes 42 Cases of Neutropenia in Alberta and B.C. 3 Police Called During Home Invasion - On Arrival They Find Major Marijuana Growing Operation! 4 Dealer Busted for Marijuana Juice?! ?